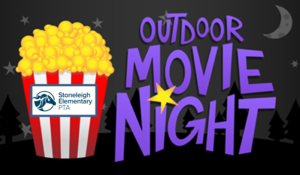 Please join us on Friday, October 26th from 6:30 – 8:30pm for the Stoneleigh PTA Outdoor Movie Night featuring, Hotel Transylvania 3! This will be an outdoor event located directly in front of the school. Please dress warmly and bring blankets, camp chairs and a picnic dinner to enjoy this evening of fun. Popcorn will be provided. Hotel Transylvania 3 is a PG-rated movie; parents are encouraged to preview the movie to determine the appropriateness for their child. We still need volunteers please sign up here: Volunteer Sign-Up. Reading Contest Underway this week! Please read this Kiss- n- Go Edition!